Avenge Apollo at Cafe Bella Coffee! Southwest pop punk in your ears! 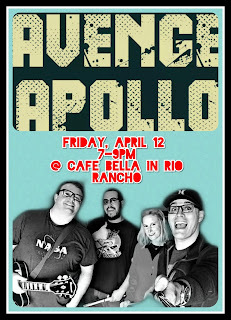 Catch Avenge Apollo at Cafe Bella Coffee on Friday, April 12 from 7:00 - 9:00 p.m. NO COVER!